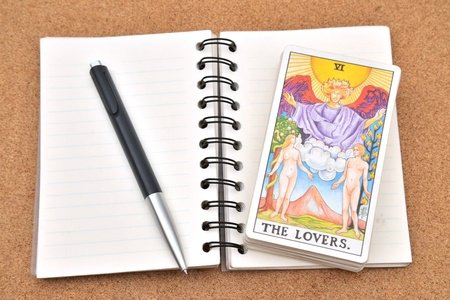 Please join Tarot expert and author Reverend Geraldine Amaral-Hodson in this interactive, fun and hands-on opportunity to investigate the images and archetypes that are influencing you at this time in your life. Whether you want to develop your spirituality or your creativity, or whether you want to improve your love life, career or finances, you will learn whichimages are right to help and inspire you to move forward. This class will help you clarify your goals and desires and develop anaction plan to achieve them. Insights are wonderful, but in this workshop the Tarot will guide you to specific actions to accomplish your goals, along with the insights. Advance registration closes at 9pm on Saturday, February 23rd. Rev. 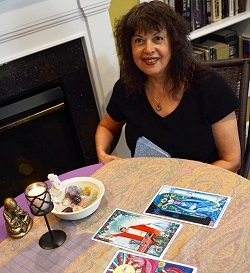 Geraldine Amaral is the author of Tarot Celebrations: Honoring the Inner Voice, creator of Tarot 1-2-3, a Tarot instructional video, and has a regular column in Pathways Magazine. She utilizes Jungian/archetypal psychology and Divine Metaphysics in her work and is a respected/gifted teacher and intuitive counselor. She was ordained in the United Metaphysical Churches in 2014. www.thespiritualtarot.com.